Working to redirect attention from its diesel-emission scandal—soon to wind down in the U.S. but ongoing in Europe—Volkswagen Group has talked a lot about its future electric-car plans. It will launch three high-volume battery-electric vehicles on a common architecture over the next five years, and has now shown concepts for all three. 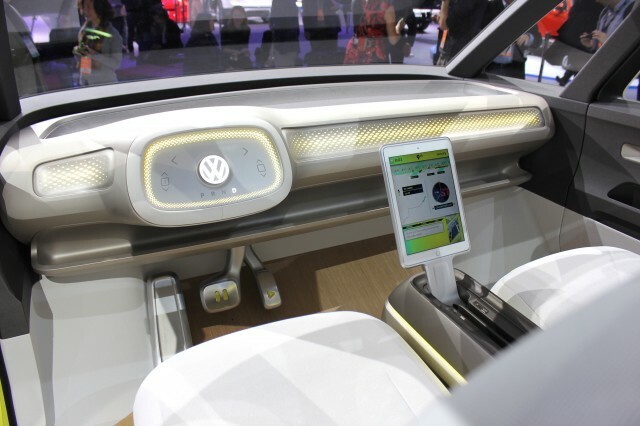 Now it has confirmed that it will build the second and most iconic of those, the Volkswagen ID Buzz. 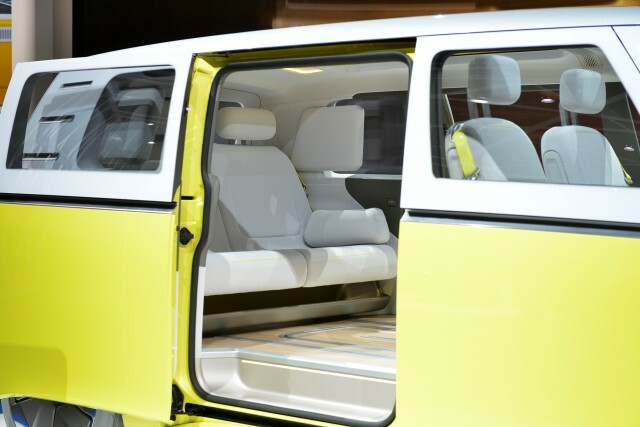 Unveiled at January's Detroit auto show, the ID Buzz is a modern, all-electric VW Microbus, with overt design cues from the classic Type 2 rear-engined box much beloved of the Sixties counterculture. "Emotional cars are very important for the brand. We are selling loads of Beetles still, particularly in US markets. 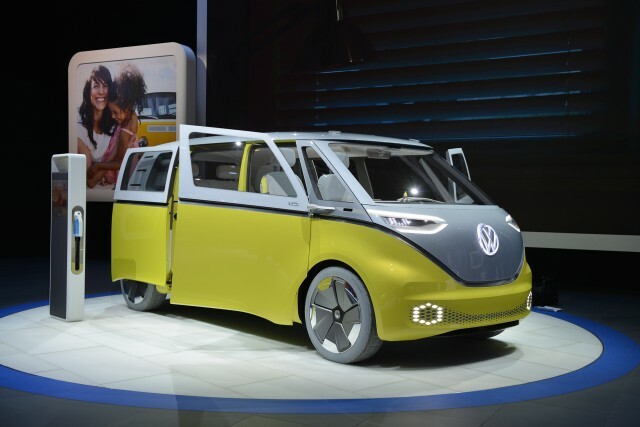 But we will also have the Microbus that we showed, which we have recently decided we will build." The Buzz is what Europeans would call a multi-purpose vehicle, or MPV, though North Americans would likely consider it a minivan. It seats up to seven people. 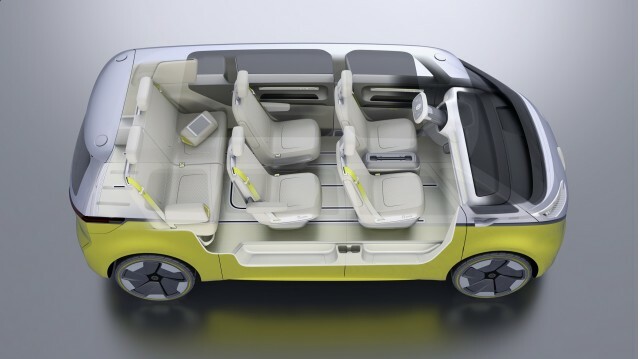 It rides on an extended version of Volkswagen's dedicated MEB electric-car architecture, and the concept was shown with all-wheel drive provided by one motor each on the front and rear axles. 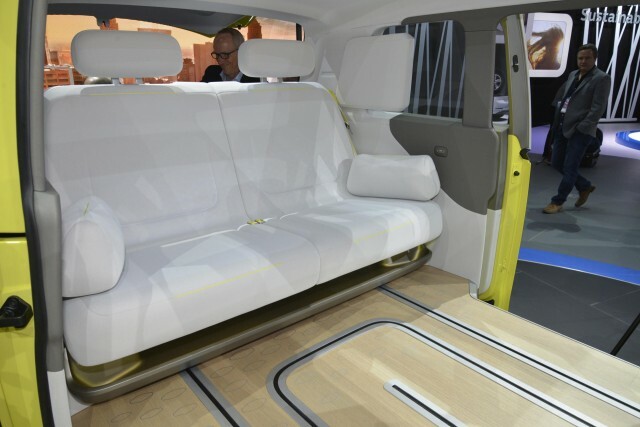 The ID Buzz was the fourth new Microbus concept VW had produced in 16 years, dating back from the New Microbus in 2001 through the Bulli in 2011 to last year's Budd-e all-electric concept. But Volkswagen design chief Klaus Bischoff said the shape and proportions of previous designs had been compromised by the need to accommodate a combustion engine. "Now," Bischoff said, "we have the proportions right." Interestingly, the highest-volume member of VW's upcoming range of Volkswagen ID electric cars, a compact five-door hatchback roughly the size of the long-running Golf, used rear-wheel drive only. 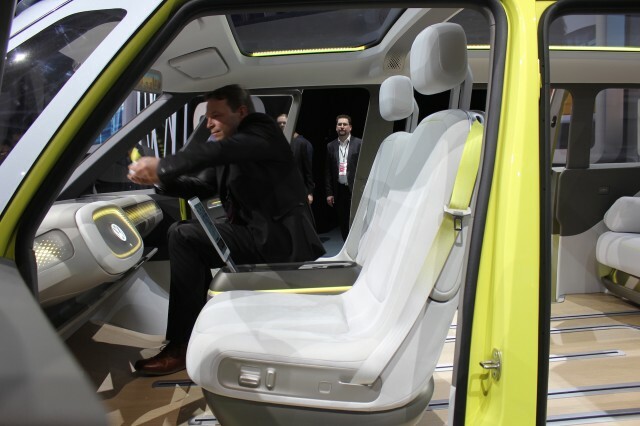 At the Detroit show, technical specs for the ID Buzz concept were sparse: it's envisioned to have a 110-kilowatt-hour lithium-ion battery pack, a 150-kilowatt (200-horsepower) electric motor powering each set of wheels, and a total power output of 275 kw (370 hp). While Volkswagen's concepts, especially the ID Buzz, have garnered their share of attention, the first electric vehicle built on the MEB platform won't hit the roads until around 2019. That will be the five-door hatchback Volkswagen ID, with a production version of the Buzz possibly not arriving until as late as 2022. Still, VW Group has among the most aggressive plans for electric cars among the world's three largest automakers: General Motors, Toyota, and VW Group. Or perhaps that should be "the most aggressive announced plans."